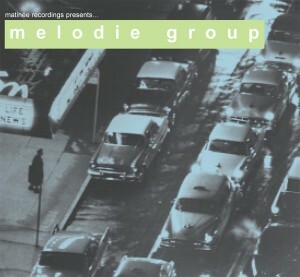 Melodie Group is an evolving project of The Windmills vocalist and guitarist Roy Thirlwall and the perfect outlet for his never-ending creative energies. The band's six-track debut is entitled Seven Songs and features a timeless mix of strummed and jangled guitars, superb vocals, and pure pop melodies on songs about wild dreams, granny dresses, skindiving, suits of armour, French trousers, and swimming pools. With comparisons to early Lloyd Cole, the Go Betweens and Felt, this mini-CD is not to be missed.